Inscription on reverse reads: When I was asked to do a sculpture for the original Beaumont Hospital building I was very happy that this area would have this fine facility. I tried to produce a work that would have a positive meaning for the people in the community, something they could understand and relate to. So I chose a family group, Mother, Father, a young boy and an infant, supported by a leaf design representing ‘Healing Herbs’. I was inspired by the biblical quotation “And the leaves of the tree were for the healing of the nation”. 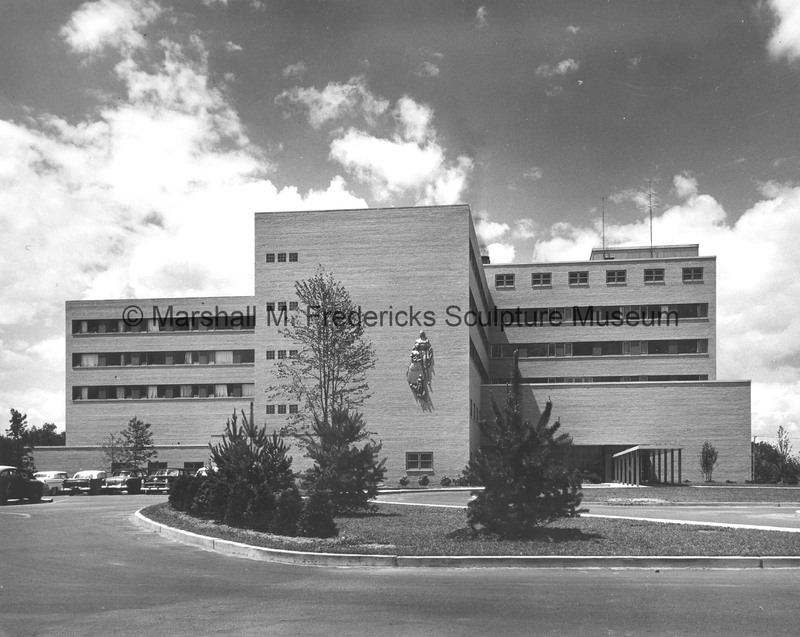 “"The Family Protected by Healing Herbs" with parking lot in view,” Marshall M. Fredericks Sculpture Museum, accessed April 25, 2019, http://omeka.svsu.edu/items/show/1474.